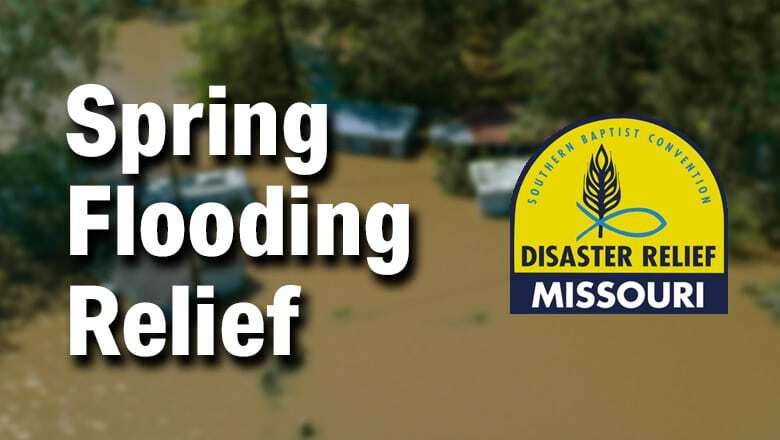 Missouri Baptist Disaster Relief is assisting in several areas including Fremont, NE; Watson, MO; Craig, MO; and Rushville, MO.. We are assisting flooded homeowners with flood recovery. 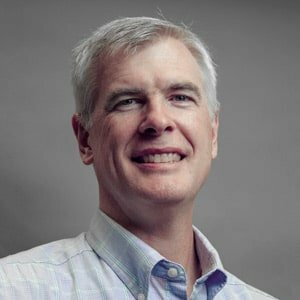 Give Financially Interested in Serving? 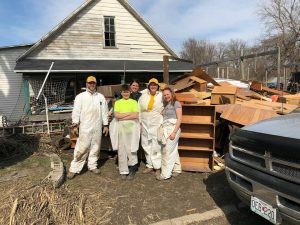 A group of college students hard at work this weekend clearing out a house in Northwest Missouri. If you are a college student, or know a college student who would be interested in serving with us as an intern this summer, let us know! The program begins on May 27th and ends on August 2nd. For a detailed job description, FAQ, and application please check out this link. 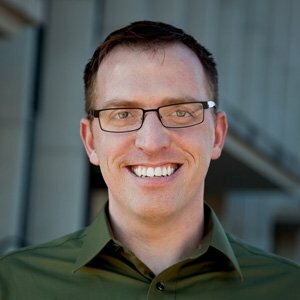 Volunteers still needed to serve Craig, MO and surrounding areas. There is still A LOT of work to be done, as the entire town of Craig was under water. Chaplains and assessors are needed to finish assessing 100+ jobs and mud out teams will be needed for the foreseeable future. 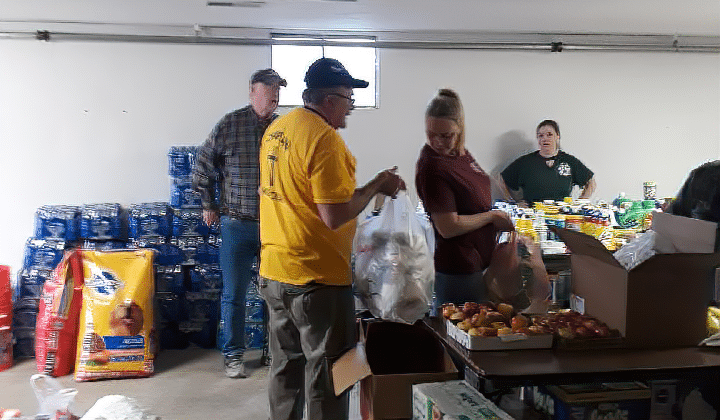 Missouri Baptist Disaster Relief serving those affected by flooding in the NW Missouri town of Craig. 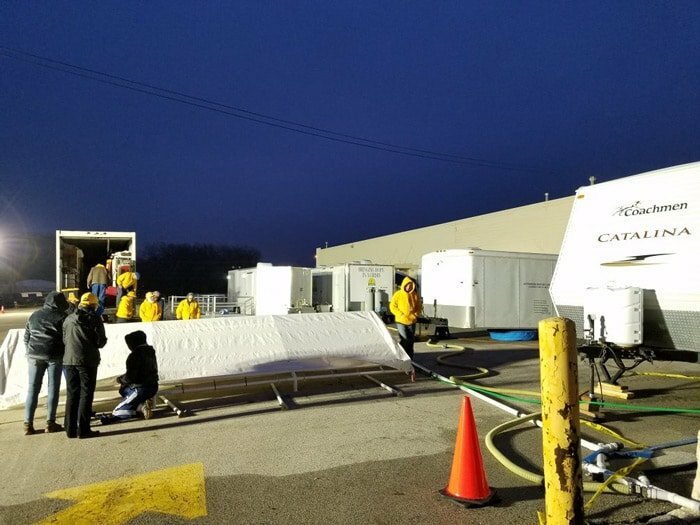 Our volunteers were hard at work again today!Another driver picked up and delivered our Feeding unit to Fremont today, where our kitchen set-up team worked hard into the evening to get things set up. 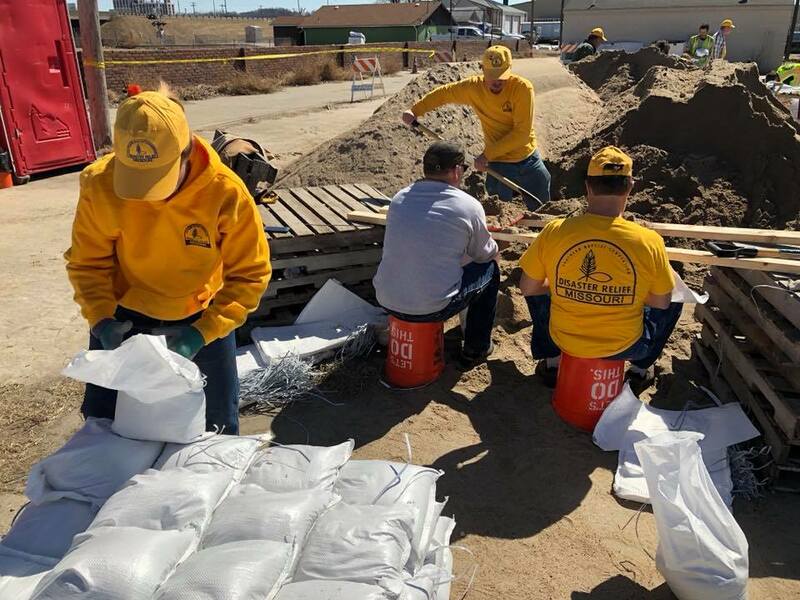 MODR now has Shower/Laundry and Feeding units set up to serve the people of Fremont, NE and surrounding areas.Please watch here for more updates, and continue to pray for those who have been affected by flooding and for those who are serving! 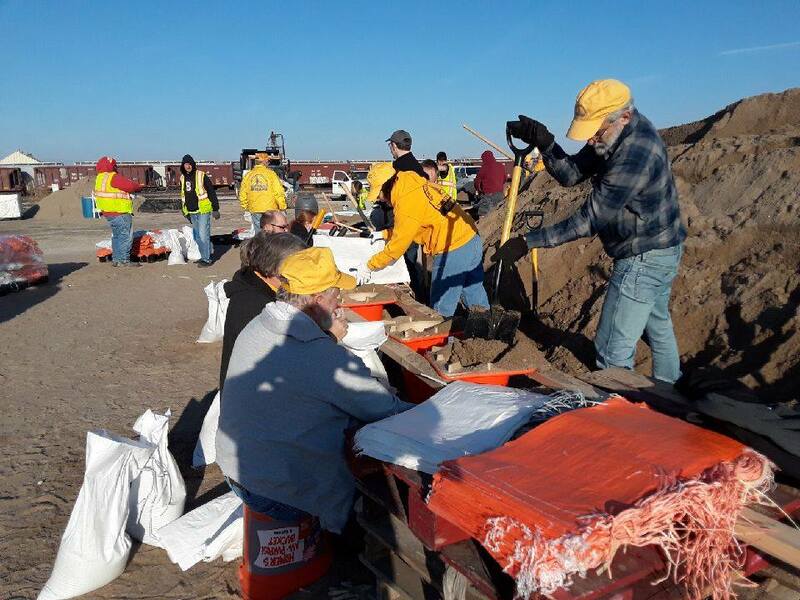 Another team of 18 Missouri Baptist volunteers is on site today in St. Joe to assist with sandbagging, and we are thankful for such a great response from MBDR volunteers. We are in touch with community leaders in Northwest Missouri to determine how and when to assist. Please pray for all those who are affected. 16 Missouri Baptist Disaster Relief volunteers helped today (Saturday) in the St Joe floodfight. We are so grateful for their quick response with very little notice. The city will continue the floodfight on Sunday and Monday at 3002 6th street beginning at 8 am each morning. We invite you to participate and bring a friend. Not much training needed…just your strong back! Remember, if you participate please wear your uniform and let us know you participated by emailing disasterrelief@mobaptist.org.